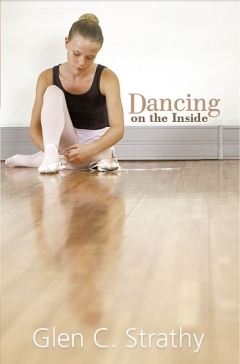 Dancing on the Inside tells the story of 12-year-old Jenny Spark who has wanted to be a dancer ever since her grandparents gave her a DVD of Swan Lake. Unfortunately, on her first day of ballet class, she suffers a panic attack and makes a horrifying discovery. She’s terrified of dancing in front of the other kids, and as for actually performing for an audience? Forget it. Honourable Mention 2013 IndieFab Award in the category of Juvenile Fiction. See what readers have been saying about the book. Excerpts from the novel. A few short passages to give you taste of what's in store. Where the idea came from. My real-life inspiration. Barnes and Noble and Chapters-Indigo.